Leon Nahat sat on a pier at Hermosa Beach with his guitar and noted how each wave was different. He saw birds fly above and got a feeling. He went right to a recording studio and put “Saturday Song” down in one take, a touchstone of the sole 1977 album Love Me Crazy by Ilian. However, getting “the feeling” is perhaps the easy part, presenting it in a contagious way is where the talent comes in. Ilian (Nahat’s nickname) put together his first rock band, Fat Daddy Puck, in his hometown of Detroit, Michigan while he was still a teenager, circa 1970. Along with Doug Brown, Steve Marston, and Tom Fine, the band quickly built a local following playing all original material. When Ilian turned 18 years old, the band moved to Phoenix, Arizona and soon were among the most popular live acts in town. Their next move was to Colorado where Tommy Bolin of the hard rock band Zephyr caught a show and flipped. Tommy became a good friend of the band and partying buddy. Soon Bolin left Zephyr for the James Gang and ultimately Deep Purple. Ilian got the call from Bolin to fill in on lead guitar for Zephyr at a big festival show headlined by the Allman Brothers and promoted by local legend Randy Crazyhorse. It went well — he recalls that he “buried them all, and their Marshall stacks, too” with his little Fender Pro amp. This led to him joining Zephyr for a time until lead singer Candy Givens decided he was drawing too much attention and should lay back, so he quit. Anybody can throw a bunch of licks at your face. Communicating, telling the story is where it’s at. Ilian was influenced heavily by the concise, innovative guitar moves on the ’60s Yardbirds classics. Every note speaks, adds to the story the song is laying out. You can hear that in both his guitar tracks and the arrangements of his songs onLove Me Crazy. Not one dicey or stale move allowed, no horses beaten to death in pursuit of pop perfection. He moves fast and if it doesn’t happen, he moves on to the next one. Brings ’em back alive. Beyond the Zephyr adventure, Ilian backed Chuck Berry, Dottie West, recorded with the Cleveland Symphony Orchestra, worked with Keith of “98.6” fame, and much more. All the while he was recording his own songs and firing them off to record labels. Sadly, he sent twenty four songs to CBS Records in NYC that are lost forever, as he has no copies. In bittersweet stroke of luck, he met up with a representative of Album World in the late ’70s. Album World out of Nashville was a prime example of what is now called a “tax-loss label.” They would press up tiny quantities of LPs with a goal of losing money on them to scam the IRS. Ilian actually sent them two albums of material, but only Love Me Crazy was issued. In the confusion, Album World actually mixed up the song titles so that they are incorrect on the rare original LP sleeve and labels. The songs of Love Me Crazy LP were recorded at different times in different studios. They hang together so well because Illian moved fast and with his virtuosic guitar-playing guiding the way. His music sounds fresh and timeless today because the songs were captured quickly before the magic of inspiration faded. Rather than self-consciously attempting to write a “hit,” Ilian put down his feelings direct from his dome. The songs come from his real life. He’s thinking about how cool his sister is and we get the delightful “Hey Denise.” He’s musing about the human condition and the amazing psychedelic song “See What You Can See” emerges. He calls it “pop rock with a groove,” perhaps because these rock gems literally “popped” out of his mind. 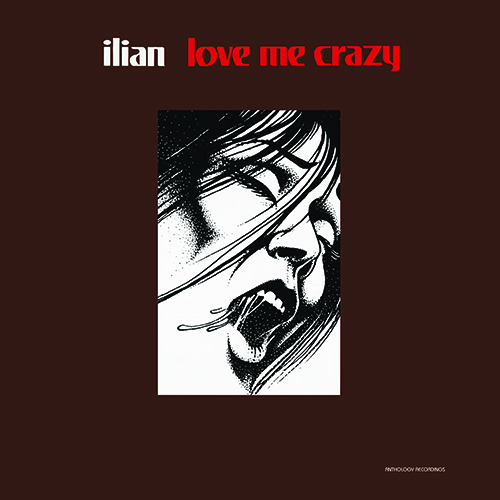 After Love Me Crazy was released, Ilian pursued non-musical endeavors. He founded a water systems business that allowed him to live the American Dream, making so much money he could hit the golf course by 1 pm each day. He is also a walking encyclopedia of numismatics, and turned this passion into a rare coin dealing operation with a shop and many wealthy clients. He bought a Frank Lloyd Wright house and parked a collection of limousines on the property. Unfortunately he got caught up in a multi-million dollar deal with shady characters, got ripped off and had to quit the business. Despite the ups and downs of the real life and the fantasy of a career as a chart-topping rock star, Nahat is a positive man that continues making his exceptional brand of pop music with feeling to this day.